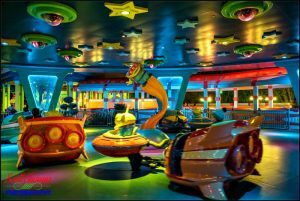 Each week, photographer Scott Thomas shares his favorite tips for taking photos at Disney Parks in his blog, Photographic Innoventions. 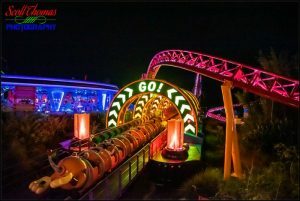 Photographer Scott Thomas shares his favorite Disney photos and photography tips in his twice-weekly blog on AllEars.net, Picture This! 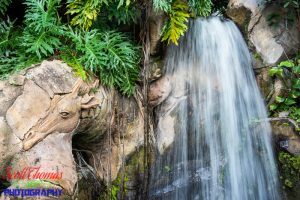 AllEars.net Photographer Scott Thomas shares photography tips for getting sharper images around Walt Disney World resort. 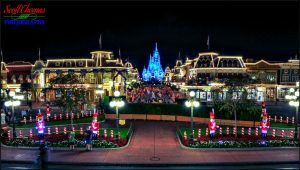 Photographer Scott Thomas shares a lovely photo of Main Street USA in the Magic Kingdom during the Christmas season while he's on vacation at Walt Disney World. Water fountain at Disney’s Port Orleans Riverside resort.Nikon D700/50mm, 1/4s, f/4, ISO 1000, EV 0. Water fountain outside a Magnolia Bend mansion building in Disney’s Port Orleans Riverside resort at night. This was hand held using a Nift-Fifty (50mm f/1.8) lens. The color cast is from the sodium lighting used outside at POR. What makes a good travel photograph? 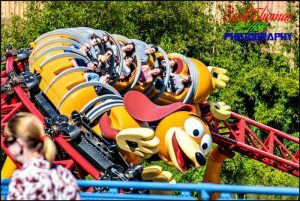 In our case, what makes a good Walt Disney World travel photograph? The photo below of the Fez House at the Morocco pavilion of Epcot’s World Showcase is a very interesting photo to me and, hopefully, to you. Is it a photo Disney would use in a brochure or … Continue reading "Travel Photography in Morocco at Epcot"
Last year I captured Santa sending his love to all of us during Mickey’s Once Upon a Christmastime Parade at a Mickey’s Very Merry Christmas Party in the Magic Kingdom. It was a magical moment for me and for those around me. Santa sending his love during the Mickey’s Once Upon a Christmastime Parade at … Continue reading "Disney Pic of the Week: Christmas 2017"